Dr. Tim Brown is one of the foremost experts and leading innovators in the world of sports medicine. 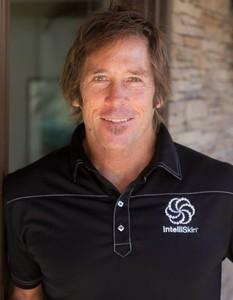 He has more than 25 years of experience, working with some of the world’s biggest athletes across a range of sports. With his many personal athletic injury experiences as a former college football player, pro beach volleyball player, and skilled surfer/snowboarder, Dr. Brown knows firsthand about the frustration of injury and the painstaking process of rehab and recovery. Over the years, Dr. Brown taught S.P.R.T. to thousands of doctors both in and outside the sports medicine field, including chiropractors and physical therapists. In the 2008 Beijing Olympics, professional beach volleyball player Kerri Walsh attracted a lot of attention when she won a gold medal, while wearing a version of S.P.R.T. for an injured shoulder. Dr. Brown worked and traveled with the Association of Surfing Professionals (ASP) World Tour, and his SPRT taping system became more popular with athletes around the world. There were increasingly growing numbers of requests for Tim to figure out a way to make the tape last longer than the customary 2-3 days, and to make the protocol easier to utilize. Coupled with Tim’s increasing experience, understanding, and frustration of conventional bracing methods, he began experimenting with a variety of products, from wetsuits to rash guards, to a number of materials on the market, eventually set up a sewing station in his house. Decades after working with countless elite and professional athletes from the NBA, NFL, MLB, Association of Volleyball Professionals (AVP) and Action Sports, Dr. Brown created the latest evolution in Functional Performance apparel, IntelliSkin. For his innovative work with athletes and athletic governing bodies, Dr. Brown has been recognized as the American Chiropractic Association’s Sports Chiropractor of the Year and received the American Chiropractic Association Award of Meritorious Achievement. Dr. Brown received a Bachelor in Arts from the University of Redlands and Bachelor in Science from the Cleveland Chiropractic College in Los Angeles, before earning a Doctor of Chiropractic Degree from CCC. He currently resides in Newport Beach, California.